Your donation enables the growth and establishment of Avasara Academy and the development of the next generation of young women leaders in India. We are grateful for your support. A gift of up to $500 contributes to the operational costs of Avasara Academy. 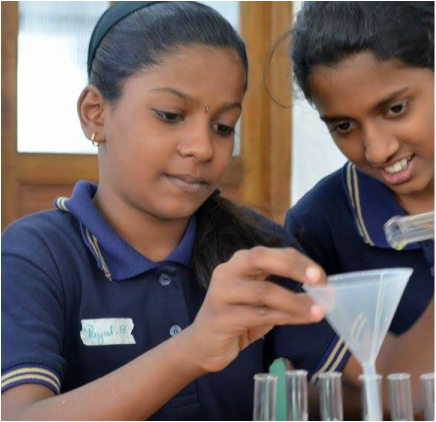 A gift of $1,000 supports Avasara's dedicated and experienced faculty, who come to Avasara from the world's best international schools. A gift of $3,500 supports the annual scholarship of an Avasara student and covers uniforms, backpacks, 3 daily nutritious meals, and healthcare, alongside access to an innovative Leadership, Entrepreneurship and Indian Studies (LEI) curriculum, and one-to-one technology. A gift of $10,000 contributes critical infrastructural support for Avasara's campus. Naming rights are available. Please contact us for more information. Your sustained contribution to an Avasara student's scholarship fund will have a lasting impact for generations to come. For more information about sponsoring an Avasara Academy student, please contact us. Make a secure donation today. AmazonSmile is a website operated by Amazon that lets customers enjoy the same wide selection of products, low prices, and convenient shopping features as on Amazon.com. When you shop on AmazonSmile, the AmazonSmile Foundation will donate 0.5% of the price of eligible purchases to the charitable organization you select. You can make The Leadership Foundation India the charity of your choice by clicking the link above. To view The Leadership Foundation of India's 501(c)(3) determination letter from the Internal Revenue Service, please click here.